Because of a statewide initiative, it is now possible to request transcripts online. This new format for requesting transcripts online includes the high school sending them electronically. This new system will be more efficient, get the transcripts to the colleges quicker, create an electronic tracking system and will cut down on the all to common experience of transcripts getting lost in the mail or misplaced by the college. We have uploaded the senior roster and a registration code has been emailed to all parents/guardians of our current seniors. 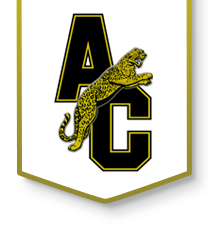 The students have also received a paper copy of the registration information and code that will link them to ACHS. The service is free for current students to send transcripts to most colleges. If a transcript states a fee is required or you have any other questions, please stop by the counseling office to see Mrs. Goertzen. Please note that transcripts will not be processed over school holidays or weekends. To order a transcript or view your transaction history, please click the link below.